This digital thermometer accurately reads temperatures (90 degree -108 degrees Fahrenheit) for Oral or underarm use. 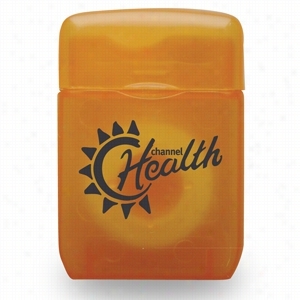 The thermometer is fast easy to read, and comes with a plastic storage case. High and low temperature alarms. Thermometer resets at the touch of a button. Operates on one button cell battery included. 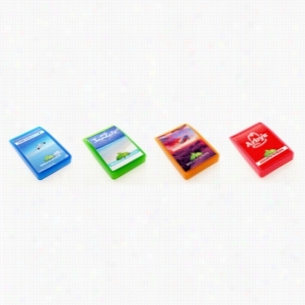 A cool promotion that will literally melt in your mouth, our Mini-Melt Breath Strips offer you a delicious way to brand. Beautiful four color process will turn this tasty item into a pocket sized billboard to showcase your logo. Simple to use & enjoy, Mini-Melts add a fun burst of flavor to any event. No Calories and Sugar Free, contains 24 Strips in each pack. Our breath strips kill 99% of bad breath germs and dissolve instantly giving you fresher breath. These strips come in a compact Case to easily store in a pocket or purse. Stop bad breath and make these strips a part of your next promotion. Take advantage of our digital printing process by customizing the case with a vivid representation of your company name and logo. 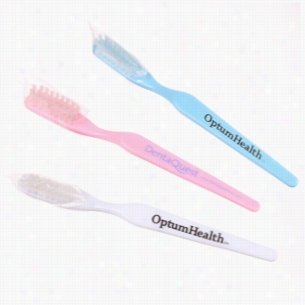 Take a "bite" out of the competition by adding your company name or logo on these personalized toothbrushes! They feature a child size that provides plenty of space to emblazon your custom imprint on the wide plastic handle. Toothbrush includes medium Nylon bristles. A perfect fit for daycare centers, dental offices, hotels and wellness programs! Available in blue, pink, or white. 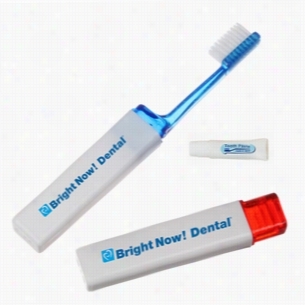 Take a "bite" out of the competition by adding your company name or logo on these personalized travel toothbrushes! Toothbrush bristles and a miniature tube of toothpaste are stored in the white handle that has your company name or logo emblazoned on the side. Toothbrush attaches to the Case for an extended handle. Ideal for dental offices! 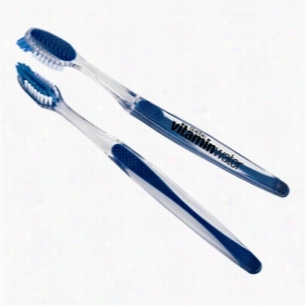 Take a "bite" out of the competition by adding your company name or logo on these personalized toothbrushes! They feature a standard adult size that provides ample space to emblazon your custom imprint on the wide plastic handle. 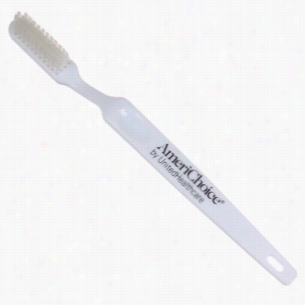 These white toothbrushes feature medium bristles made of Nylon. A perfect fit for dental offices, hotels and wellness programs! Available only in white. Take a "bite" out of the competition by adding your company name or logo on these personalized, rubber-grip toothbrushes! 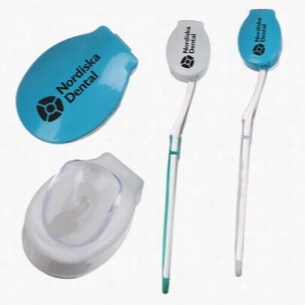 They feature a standard adult size that provides ample space to emblazon your custom imprint and contoured medium bristles made of Nylon to promote dental Health. 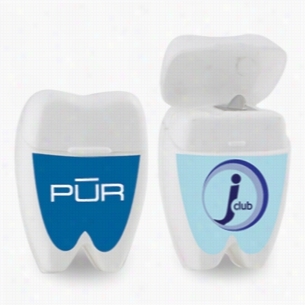 A perfect fit for dentists' offices, airport Gift shops, hotels and wellness programs! Traditional Rectangular Shaped Dental Floss. Encourage good dental hygiene with this traditional packaged dental floss. This mint flavored floss provides 12 yards of durable cleaning floss in a classic pocket sized Container! Each container includes a full color decal to provide you with a stylish retail look. 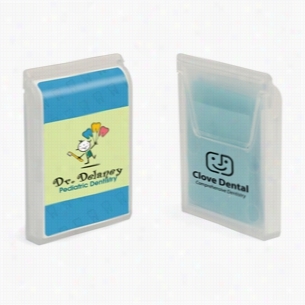 This product is great for dentistry practices, pharmacies or medical themed events.Stock Background, CALL FOR DETAILS. Show those pearly whites with this creative tooth shaped dental floss. This mint flavored floss provides 12 yards of durable cleaning floss in a playful tooth shaped Container! Each container includes a full color decal to provide you with a stylish retail look. This product is great for dentistry practices, pharmacies or medical themed events.Stock Background, CALL FOR DETAILS. Pick a promotional product that'll fit with your unique new marketing campaign! This toothbrush holder features a portable and hygienically safe case that will fit almost any brush. Available in Blue or White, this holder is also equipped with a suction Cup for side storage. Great for Dentists, Trade shows, and even drug stores!